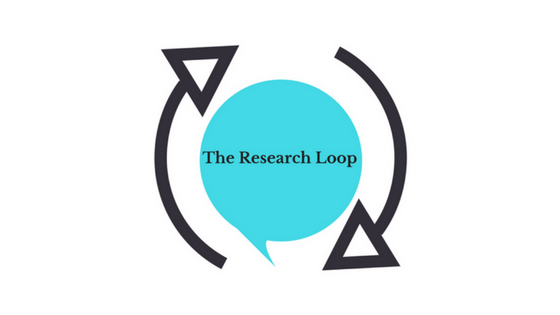 The Research Loop is a solution building on initiatives around the world to get patients, caregivers, and the public involved in research at all levels. Whether as partners in the research process or as participants in research trials, there are many ways to make a difference. Below are links to initiatives and resources to these initiatives around the world. Efforts where patients are partners in research may include getting involved on research teams to set research priorities, work on study design, or reviewing requests for grant funding. If you have an interest in getting more involved in research, visit some of the programs listed below to learn more about their work. PCORI is an initiative in the United States started in 2010, recognizing the importance of patient and stakeholder input in research and research that is specifically focused on outcomes that matter to them. There are many different ways to get involved at PCORI – as a merit reviewer of grant applications, as a peer reviewer of completed research, on an advisory panel, through public comments, at workshops and more. In Canada, federal, provincial, and territorial entities have come together to create SPOR. They define patient-oriented research as “a continuum of research that engages patients as partners, focusses on patient-identified priorities and improves patient outcomes. This research, conducted by multidisciplinary teams in partnership with relevant stakeholders, aims to apply the knowledge generated to improve healthcare systems and practices.” As part of the Canadian Institutes of Health Research, this initiative carries out many activities across the country. Patients Canada is “a national, independent organization that champions health care change that matters to patients.” As an organization, it seeks to make sure patients are involved in all aspects of healthcare including research and policy. Patients can join the Patients Canada community and share their stories or become partners and advisors. INVOLVE was created in 1996 “to support active public involvement in the United Kingdom’s National Health Service, public health and social care research.” It is part of, and funded by, the UK’s National Institute for Health Research and acts a national advisory group advocating that patients are an “essential part of the process by which research is identified, prioritised, designed, conducted and disseminated.” INVOLVE has information on how patients can get involved with research and a resource center to help along the way. People in Research is a website run by the United Kingdom’s National Institute for Health Research that can match patients with “opportunities for public involvement in NHS, public health and social care research.” Researchers can also search the site to find patients for their projects. The CCHRN is a recent Australian initiative to “bring together consumers, community members and researchers to make decisions about health research priorities, policy and practice.” CCHRN expands the Involvement Program at The University of Western Australia’s School of Population and Global Health and Telethon Kids Institute and supports consumer and community involvement in health research. The CCHRN Involving People In Research website contains many good resources to understand what it means to get involved in research for both patients and researchers. There are many initiatives around the world working on involving patients in research. These come from institutions like universities and independent organizations, often focused on specific health issues. Below are a few of those initiatives. OMERACT is an independent initiative of international health professionals interested in outcome measures in rheumatology. OMERACT recognizes “that patient involvement strengthens outcomes research in rheumatology” and that patients can contribute to research in many ways including by defining outcome measures of importance and recognizing issues that are of concerns to other patients. HIPxChange is a program out of the University of Wisconsin-Madison meant aiming to “accelerate the translation of new and existing knowledge into clinical and community practice to improve healthcare delivery and health outcomes.” On the HIPxChange website you can find toolkits to improve patient engagement in research. *Note: The Research Loop is not affiliated with any of these programs or websites and is not liable for anything on their websites. The Research Loop cannot connect you with specific individuals within these programs or specific researchers and cannot guarantee that if you contact the organization they will ask you to join their efforts. The information provided here is for educational purposes only.